It has long been known that nutrient pollution – the overloading of chemicals such as nitrogen and phosphates from sources such as agricultural fertilisers – can have potentially harmful effects on freshwater ecosystems. In particular, eutrophication – the rapid growth of algal ‘blooms’ – can starve the aquatic environment of light and dissolved oxygen, prompting shifts in the form and function of the ecosystem, and potentially causing collapses in populations of other freshwater plants and animals. However, a new study published in the journal Science by a team of researchers from the University of Georgia, USA suggests that nutrient pollution can also prompt significant losses of carbon from forest stream ecosystems, which in turn reduces their ability to support aquatic life. The study, by Amy D. Rosemond and colleagues, shows that when nutrient levels are moderately increased in the stream, the residence time (i.e. the amount of time it remains in the stream) of organic carbon molecules mineralised from leaf litter and woody debris drops by around a half. This is because increased nutrient levels stimulate microbes to break down leaves and woody debris at a quicker rate, causing carbon to be lost to the atmosphere as carbon dioxide. Whilst nitrogen and phosphorous are important in catalysing this process of microbial decomposition, when their levels increase, decomposition occurs at such a rate that carbon is quickly lost from the stream ecosystem. This finding is significant because carbon derived from such forest debris provides a year-round supply of potential energy to aquatic organisms, particularly in forest stream ecosystems where carbon available through algal growth is limited by a lack of light. Similarly, the finding runs counter to the commonly observed increase in aquatic carbon levels in other freshwater ecosystems as a result of algal blooms following nutrient overloading. 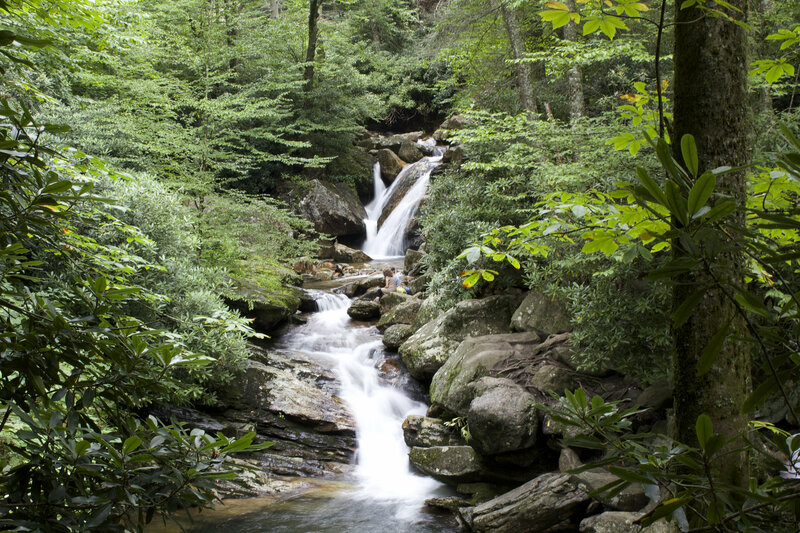 The team carried out experiments in small, headwater streams running through forest in North Carolina, USA. The first experiment ran for two years on two streams, and the second for three years in five streams. Different combinations of nitrogen and phosphorous were added to some of the streams to simulate different land use scenarios, whilst other streams were left untouched as controls. Results from the experiments showed that median carbon loss rates from the streams increased by 1.65 after moderate concentrations of nitrogen and phosphorous were added, and that the residence time of the carbon was roughly halved from 167 days under reference conditions to 75 days with nutrient addition. Similarly, leaf litter levels were almost eight times higher in the unaltered streams after one year, in comparison to those where nitrogen and phosphorous had been added. Rosemond and colleagues suggest that increased losses of carbon from aquatic ecosystems as a result of nutrient pollution is likely to be happening unobserved in freshwaters across the world. However, because the process doesn’t have an easily visible result – as algal blooms do – it is largely unreported, and its effects on ecosystem services and ecological health and functioning understudied. Perhaps ironically, leaf and wood debris in freshwaters and the microbes that live on them are important in taking up and regulating low levels of nutrients from the aquatic ecosystem. As leaf and wood debris is decomposed more quickly as a result of nutrient overloading, the ecosystem’s capacity to take up further nutrients is decreased. By providing new and previously unreported information on the interlinking of nutrient and carbon cycles in forest stream ecosystems, this study suggests that environmental policies designed to tackle nutrient pollution should not solely focus on its effects on algal blooms and eutrophication. Instead, it seems that there is a pressing need to further study how carbon is lost from aquatic environments as a result of nutrient pollution, and then to implement suitable policies and indicators to help mitigate its effects on freshwater ecosystems. Republished with the kind permission of The freshwater blog. Many thanks to Amy Rosemond for a copy of their paper!